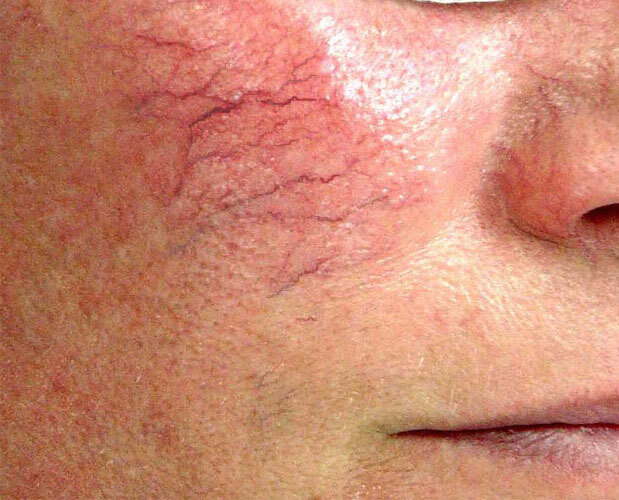 Telangiectasia occurs when tiny blood vessels become widened causing threadlike red patterns on the skin. These patterns, or telangiectases, form gradually and often in clusters. Due to their thin, weblike appearance, they are typically referred to as “spider veins”. While an exact cause is unknown, researchers believe that a combination of genetics and environment, especially sun exposure, may contribute to their formation. "Spider Veins", while mainly considered by most to be unattractive, can cause some discomfort. Removal, the most popular form of treatment, is done by causing damage to the vessel and forcing the vein to collapse. This process is known as Sclerotherapy. Contact Mountcastle Plastic Surgery & Vein Institute at 703-539-5272 to schedule an appointment.